The conference will be held at the Baymont Inn & Suites in Mandan, ND. 1:05-2:00 Round Table Discussion Combined Session with NDFMGA – fruit growing – brix testing – what other products being used besides other fruits. 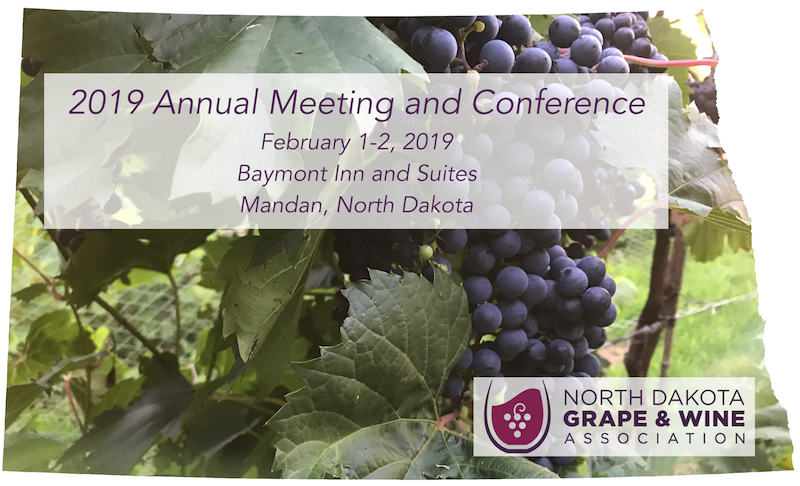 2:00-2:45 ND Grape and Wine Industry Discussion. Where are we? Where do we need to go? 3:45-4:30 Justin Blanford – sommelier, NDSU – Cold Climate Grapes, What do consumers want?